Just in the nick of time, I’ve finished the last of the five books Jenny selected for me to read in 2014. I enjoyed this book by John Crowley very much, but I’m at a bit of a loss as to what to say about it. It’s a good book! It’s got poetry and conversations about the nature of language and whether true translation is even possible. There are flashbacks nested inside flashbacks and secret pasts that only slowly get revealed—and some that don’t. There’s the Cuban Missile Crisis and pro-Cuba demonstrations. There’s death—so much death—a sibling, a spouse, children. There’s a government agent or two (at least) and a mysterious death (or not). There’s a lot of story here, and Crowley juggles all these threads well, making the book feel coherent and whole. It’s elegantly put together and elegantly written. I suppose I could just direct you to the reviews Jenny and Jeanne have already written. They say more than I can—and say it more elegantly. And they share more details about the story. I’ll say simply that the plot involves Kit Malone, a poet known in part for her translation of the work of the Russian poet Innokenti Falin, looking back on her relationship with Falin in the early 1960s, when she signed up for his poetry class almost by chance. 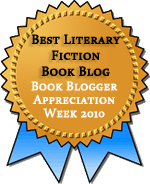 But writing about books requires me to say something of my own, doesn’t it? To translate my own thoughts to the virtual page. Jenny and Jeanne discuss the way the book considers poetry and language and the limits of translation. As Kit and Falin translate his poems into English, he notes how the translated versions miss some of the double meanings and cultural references embedded in the Russian original. These cannot be translated into English. The only solution is an explanatory note. Perhaps, though, it is better for the English poem to become a new poem that stands on its own, that tells something of the same story in a new way. How can you know anything about someone when your memories stop just as you are becoming a person yourself? She thought Ben had been beautiful and strong, that his strength and his beauty were like a horse he rode: once a pretty pony, it grew into a tall stallion, then gone, bearing him away. That’s what she remembered, not knowing if it was true or false or neither. Home from high school on a day in spring, taking off his watch at the kitchen sink to wash his hands; his thick dark hair just cut, what they called then a “Princeton cut” for some reason, just long enough to part and brush to one side. Pink button-down shirt, a Gant, only one of the brand names he was loyal to; an inch of white undershirt showing in its cleft, its sleeves turned back one graceful turn. People say I can remember as though it were yesterday, but you can never remember yesterdays as clearly as those moments that are not yesterday or any day, but always now. Memory is, in a way, a form of translation. Perhaps that’s why this book includes flashbacks inside flashbacks, to emphasize that these are memories, translated from the past to the less-distant past to the present. Truth is lost in that translation, but is a different truth gained? Kit’s memories of Falin, as recounted to a group of Russians who have very different memories of the time, are central to the book, yet the truth of their relationship is elusive. There is love there, but the nature of the love can’t be translated with a few simple words or pat phrases. It’s platonic and sensual at once. It’s a romance and a mentorship and a collegial partnership. And in the middle of the relationship that can’t be defined is a mystery about Falin’s presence in the U.S. Why was he allowed to leave Russia? For Kit, though, this question is important only insofar as other people bring it into her life. What matters is the present and whatever is between them in the moment. She may be missing a huge part of the puzzle, just as a translated poem would miss huge swathes of meaning, but the knowledge she has of him is true. 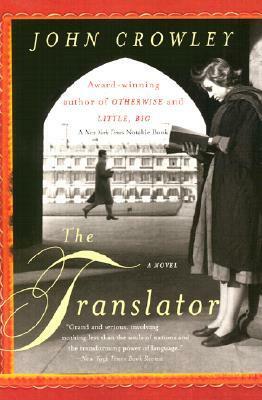 The Translator is a rich read, with lots of satisfying plot, but also lots of commentary simmering beneath, ready to be unearthed if you look. One of the reasons I like writing about everything I read is that it forces me to do that looking so that I can take even greater delight in a fine book. This was definitely a case of figuring out what I wanted to say by trying to say something. I loved this one, and yet I’ve not yet been able to love the other one Jenny has suggested I try, which is Little, Big. I tried it on audiobook, but we drifted in and out of the story until at last drifting out for good and taking it back to the library. Then I got a paperback copy of it, but so far I haven’t felt like settling down with it to see if I can pick up any of the many threads of story. It’s pretty thready! I hesitate to recommend Little, Big to people, though I loved it. I do think it takes even fans a while to dig into it, and if you’re tired or not in the right space for it, it won’t work. I need to re-read it and see if I can find some hooks I can tell people about. I liked Little, Big quite a lot, but not nearly as much as Jenny does. It did take me a while to get into, and I found myself wishing I had larger chunks of time to spend with it, so I could give it the level of attention it seemed to deserve. This is one of the best books I’ve read in recent years. It really spoke to me with so many of the themes I love and find important — language, translation, poetry, love. And so beautiful, just beautiful. I have had a couple of friends who objected to the power differential between teacher and student, but it didn’t bother me at all. Wonder why? Oh, and I meant to say that I, too, had trouble writing about it, but it was because I had so much to say. It touched me so much that I just couldn’t seem to start the review. I had some reservations about the relationship, but I was able to shrug them off pretty quickly. I think some of it was because we got into her head enough to know she was genuinely fascinated with him and not being groomed or anything like that. He had that power over her but didn’t seem to be taking advantage of it in an exploitative way.